Have you ever seen Pulp Fiction? Remember that scene where Vincent Vega is in the car talking to Jules Winnfield about Europe? He tells Jules ‘do you know what the funniest thing about Europe is? It’s the little differences.’ This line is the one that has been popping up in my head ever since seeing the film back in the ’90s whenever I need to summarise or explain Japan. Much like Vincent’s take on Europe, the land of the rising sun is like any other country, but it’s the little differences that you notice. 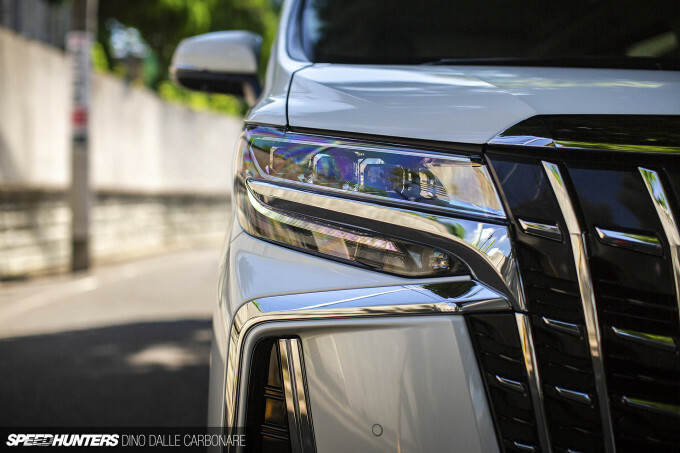 The thing that’s always fascinated me are the top of the range vans like the Nissan Elgrand and, specifically, the Toyota Alphard and Vellfire – the true market leaders. Calling them vans is almost an insult because these are as far removed from the average van that most of you will have in your minds as can be. 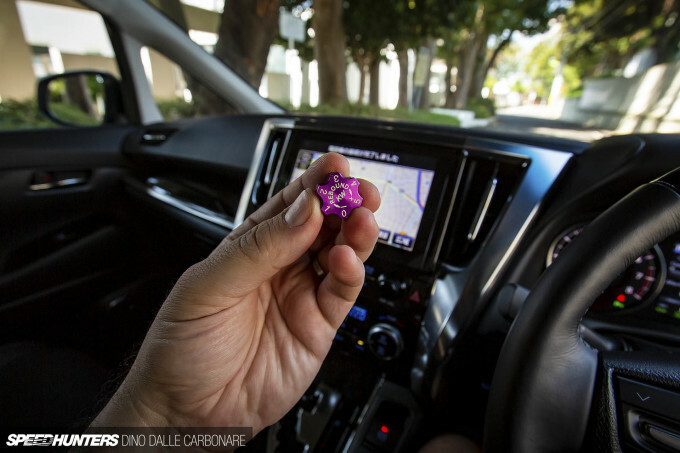 Think of them as luxurious people movers, pimped out and accessorised with all the toys and gadgets that your inner-12 year old would have craved to have in a car. 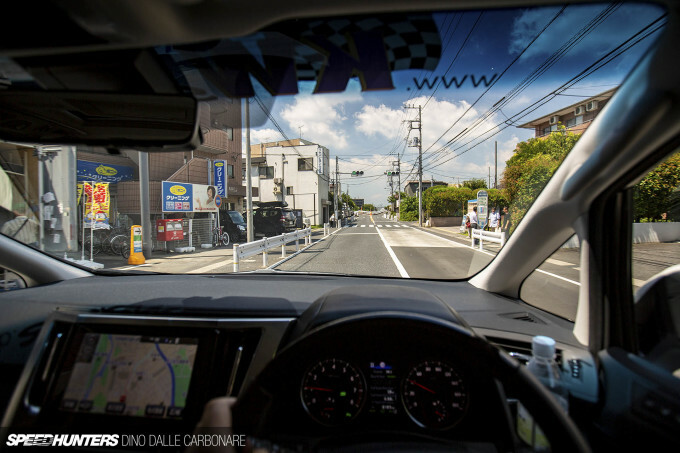 They are designed to fit Japan in every way possible, from the dimensions which are stretched in every direction to maximize interior space, but without making them hard to fit in your typical JDM automated parking lots. 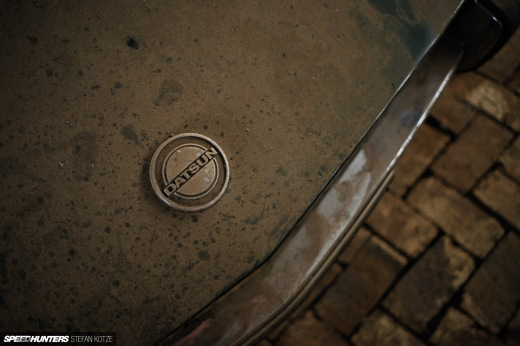 They are, without exaggerating, the perfect cars for Japan, and they appeal to a variety of people for a variety of reasons. 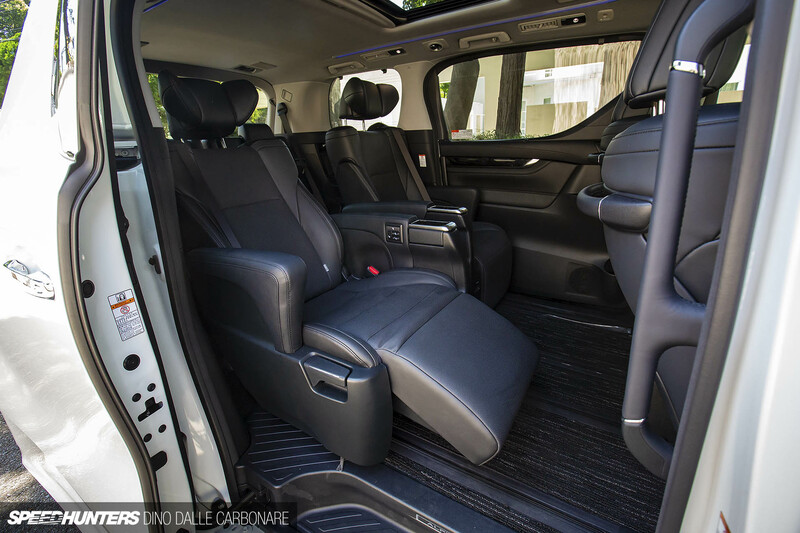 Parents love them as they come in either seven or eight-seater options, company execs love them as the Executive Lounge models are way more spacious and of comparable comfort to the usual Century, Cima or S-Class. The Yakuza adore them as they are luxurious, can carry their entourage, tons of girlfriends and are far more inconspicuous than a Lorinser-kitted S65AMG. Then there are the car guys. People like you and me. 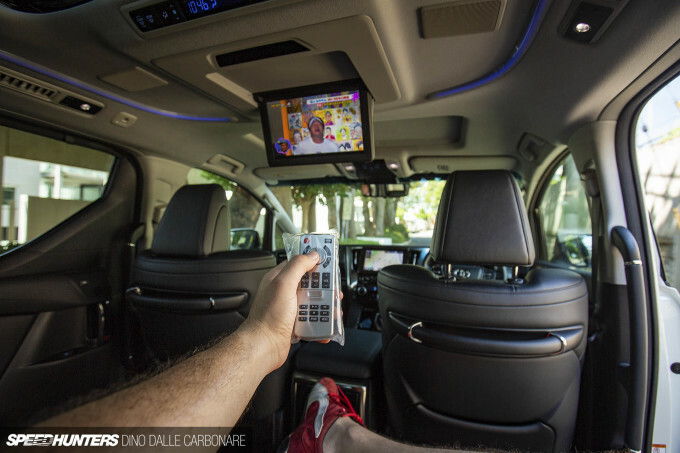 Maybe the time has come to start a family, maybe you’re already there with a few kids running around and to keep yourself sane you need to spoil yourself with the best that’s out there; a living room on wheels. Enter the Alphard, the best of the best (the Vellfire is exactly the same vehicle but with a different front & rear end. Don’t ask me why, it’s a Toyota mentality, think JZX100 Chaser, Cresta & Mark II). This is a people mover that people want to personalise and there is so much out on the market to make them look even more special. 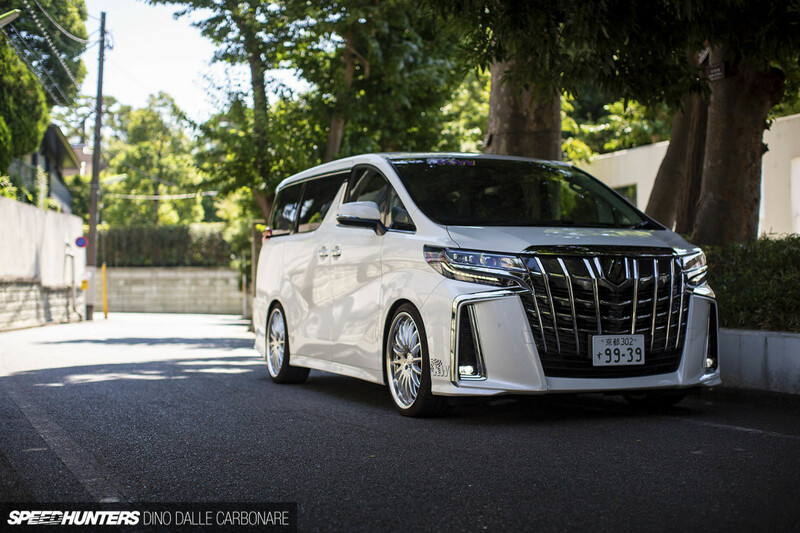 The Alphard I drove around for a week is Hashimoto Corporation’s latest demo car, the company that distributes Speedhunters merchandise throughout Japan and Asia. 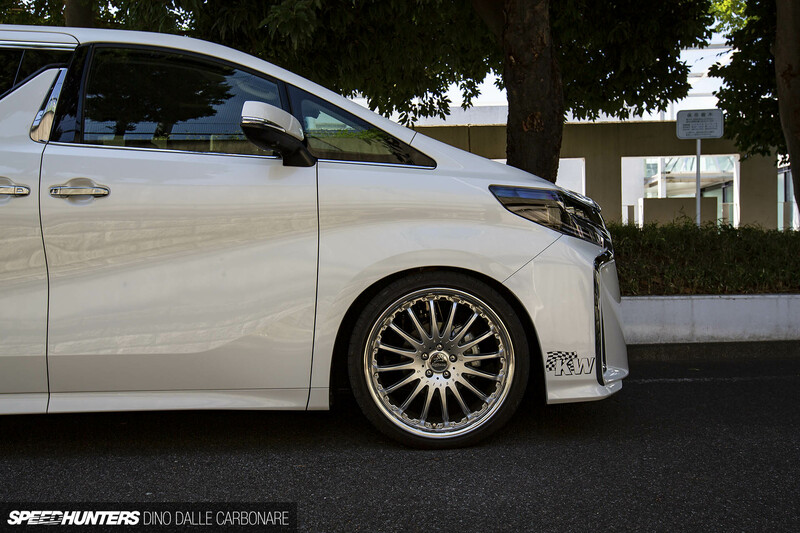 They import KW Suspension in Japan and worked with the German handling specialists to cater to this very JDM type of car. After some months of development, they launched the Variant 3 coilover kit which allows the van to be dropped up to 40mm front and 35mm rear, so that you can really tighten up the stance when fitting aftermarket wheels. To get the look just right, and to keep the whole German approach aligned, they opted for a set of silver Carlsson RSR GT two-piece wheels. 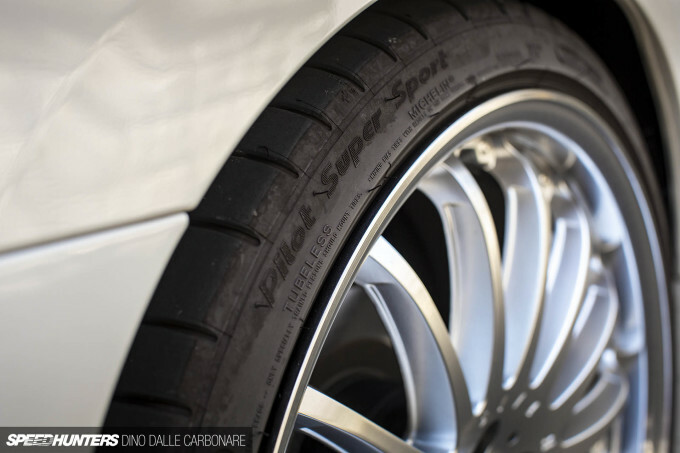 Measuring a pretty generous 21-inches in diameter, they seem to fit the overall profile and look of the Alphard rather well, but what really made me laugh was the fact that this thing rides on Michelin Pilot Super Sport rubber. Overkill? Well, not really. 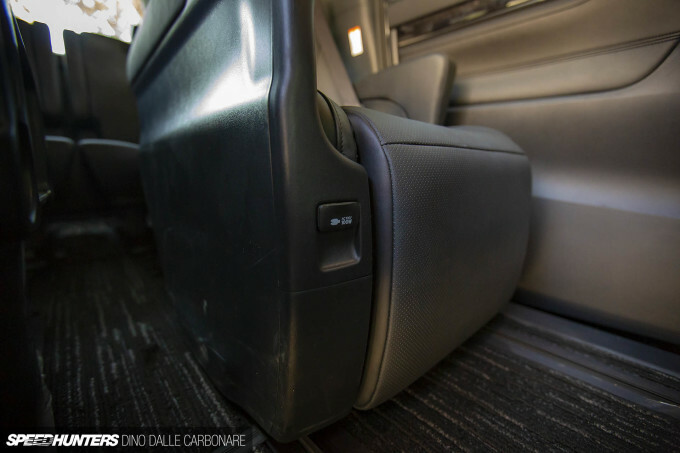 This over two ton van has now traded in plush refinement for a sharper and tighter ride with a significantly reduction in body roll. 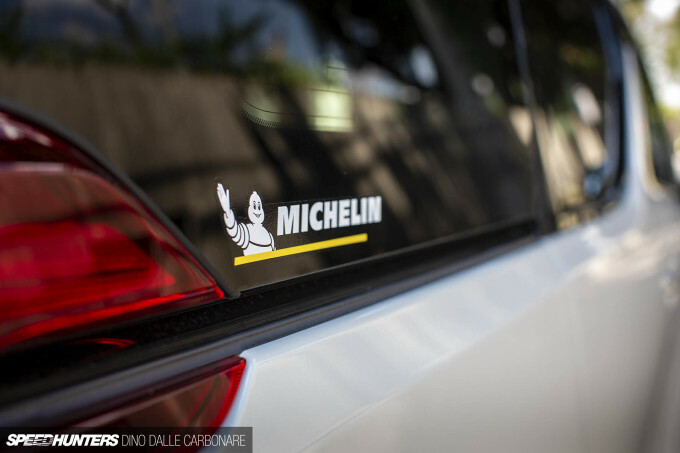 You can actually chuck it quite aggressively through corners so the stickier rubber definitely comes in handy, as silly as that may seem on a vehicle of this type. 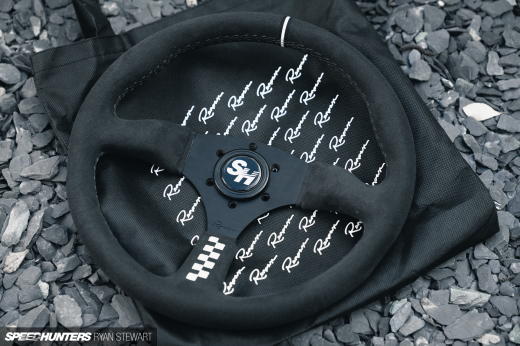 Shall we talk performance? 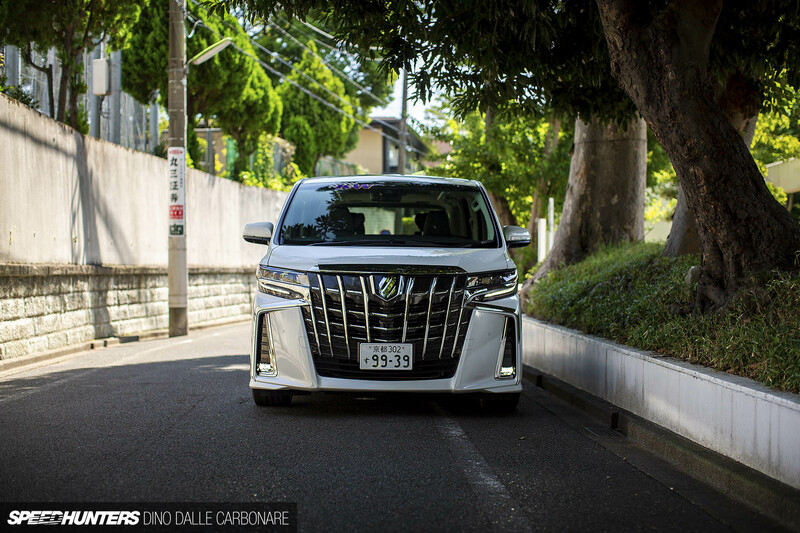 Well I’ll be honest, on this version there wasn’t much to play with, but that’s not to say that the Alphard can’t be made into something a little more fun. You just have to spec the right engine. There are three options. 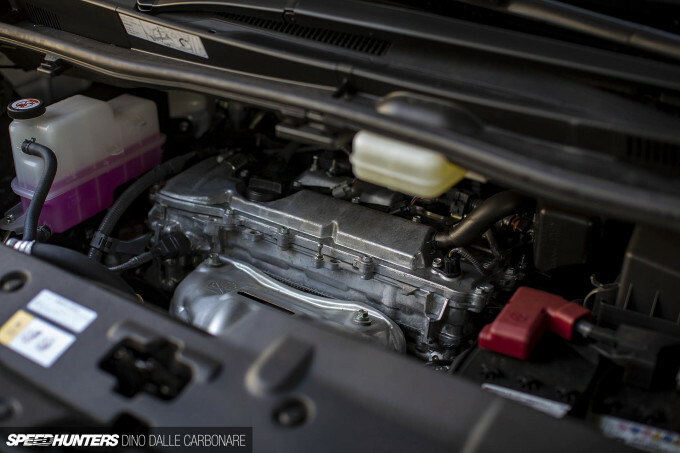 The 2.5-litre 2AR-FE four-banger you see here is the entry level motor delivering 180hp through a CVT transmission. It’s nothing special but it will do the job. If you want more power you could get the 3.5-litre V6 2GR-FKS which runs a proper torque converter automatic, will deliver 300hp and there are superchargers out there to bump that up another 80-100hp for some proper fun. 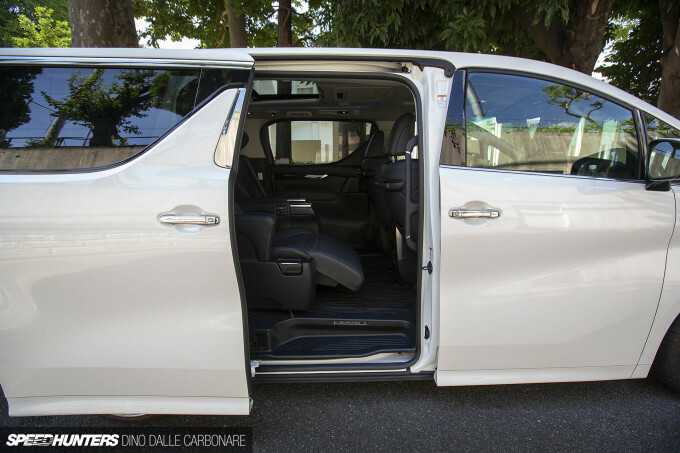 Then, there’s the hybrid e-four version which is probably the sweet spot for the van as it packs a decent sized battery which allows you to cruise around the city in EV mode and returns impressive fuel consumption figures. That’s what I used to drive to last year’s idlers 12h endurance race, and the van was left on for the entire time using only $10 of gas to keep the air conditioning going and our laptop and camera batteries charging. Back there in the distance, behind the engine, are the front suspension struts from where you can adjust the V3s from. You’ll definitely need a long arm for this as the weird layout of a van like this makes that seriously hard to reach ,so the important thing to do is to get your adjustments dialled in one time and leave them be. 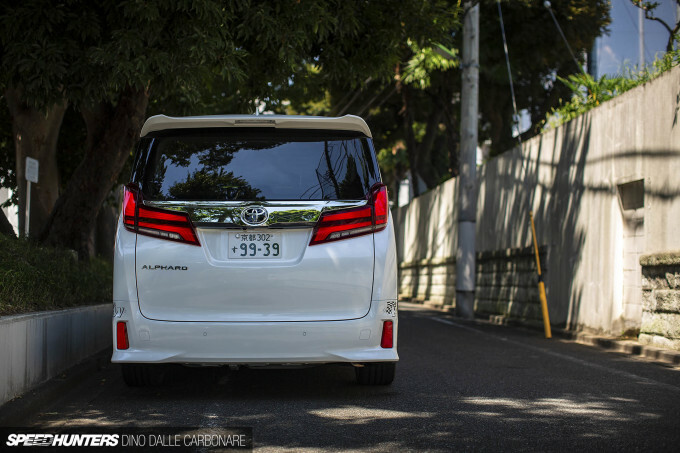 This current AGH30 generation of the Alphard has been around since 2015 and late last year got treated to a facelift which includes different head and taillights, as well as an all new front grille and bumper section just like you see on the test car I had. There’s a lot of fake chrome to digest, but trust me, if you live in Japan these type of vehicles not only make sense, but you actually begin to like the bold detailing manufacturers use to give them presence. But let’s check out where these cars really hit the bullseye; the cabin. 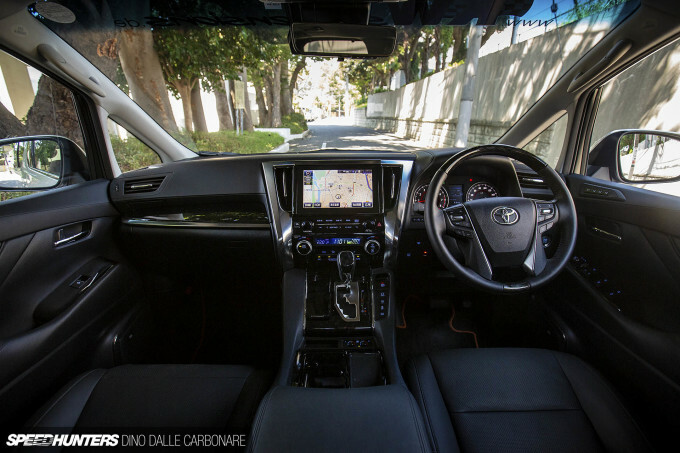 The driving position can be described as quite SUV-like, you sit pretty high up and have a commanding view of the road ahead. Being a van though, the front end is as short as can be and the massive windscreen gives a pretty wide view out into the world ahead of you. Equipment levels are so high they would make catalogue-reciting YouTube car vloggers cream their pants. 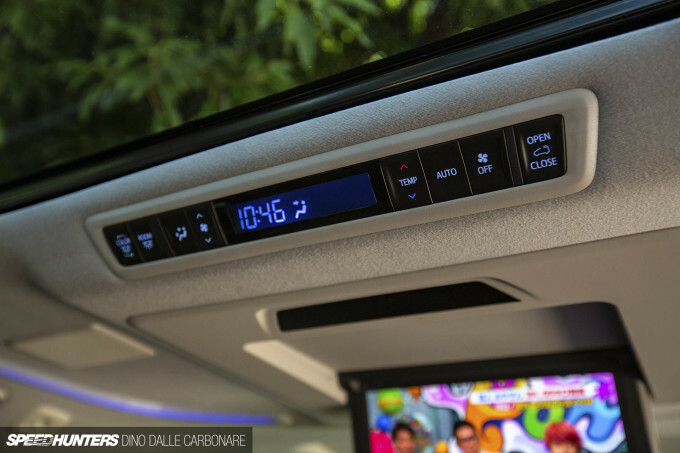 This version especially was pretty much specced with every option out there; from the leather air conditioned seats, a JBL surround sound system, massive infotainment touch-screen unit with integrated digital TV-tuner, Blu-Ray player, an air purifier for the three-zone climate control, you name it. Heck there was even a wireless charging dock under the arm rest. It must be for overly-complex JDM smartphones though as it hardly charged my iPhone X when I dropped into the slot, only making it ridiculously hot. 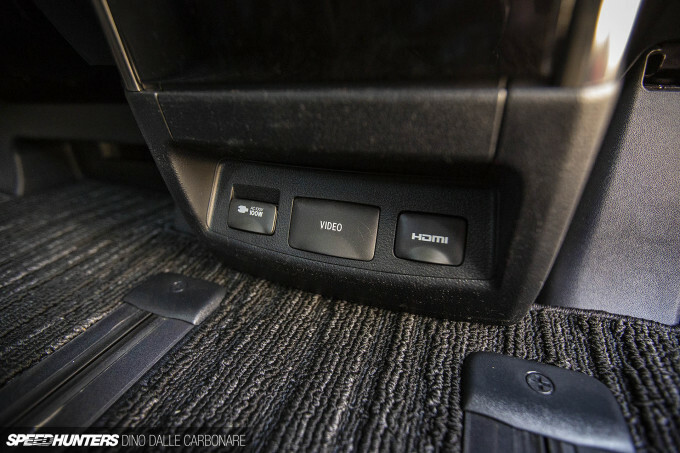 The KW Suspension adjuster knob was conveniently placed in one of the many storage spaces, but I didn’t bother altering any of the settings as the Alphard felt just right, not too stiff or not too soft. I was surprised at the lack of tire noise considering what rubber was being used, the only really noticeable thing with the upgraded suspension was the fact that you really feel ruts and road imperfections through the cabin, something the stock car would dial out completely. 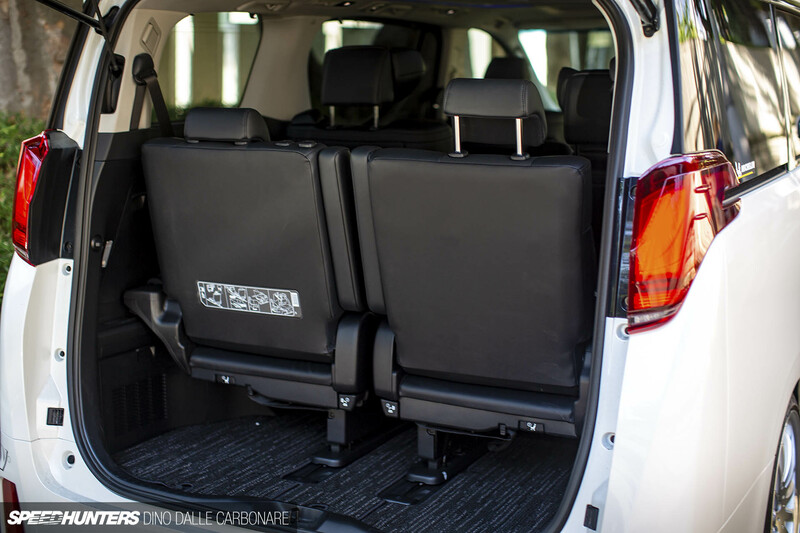 The automatic doors silently slide to reveal the middle row captain chairs which slide fore and aft independently, have switches to recline both the back and foot-rests along with controls for the seat heating and personal LED spotlights. 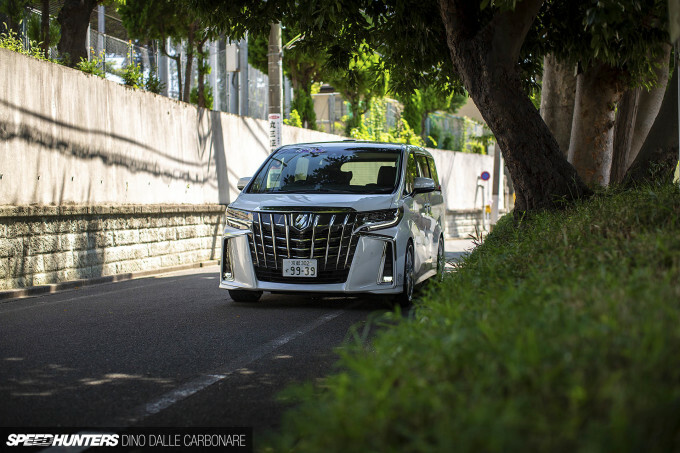 During my week with the Alphard I looked forward to grabbing my lunches and having them quietly in the back whenever I could, while watching TV in air conditioned paradise. Trust me, if you have three young kids, you know what I’m talking about. 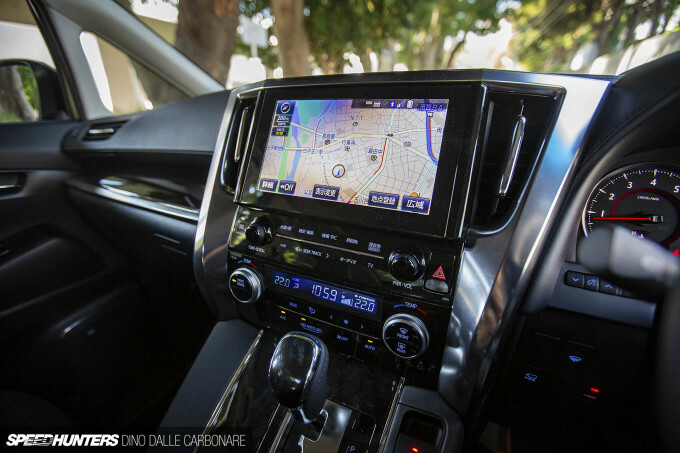 Rear passengers can adjust their climate control independently from the front and can even control the intensity and color of the ambient lighting. Do you see what I mean when I say that it caters to the your inner 12 year old? On top of the copious amounts of USB charging ports for each seat there’s also three 100v US/Japan plugs, one for each chair and another central one next to the HDMI & video connectors. Yes, you can hook up a gaming console in the Alphard. 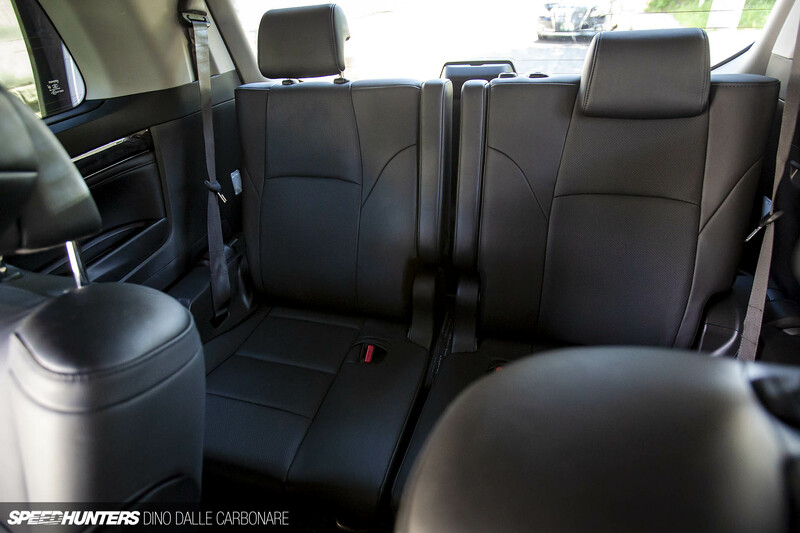 The third row can accommodate up to three people – tightly – or two, very comfortably. Go to any race track during any event and you’ll see a ton of Alphards and Vellfires parked in the paddock, usually the hybrid versions humming away to keep the occupants cool while they take a break or get a bit of shut eye. Nobuteru Taniguchi has a 2015 Alphard (I’m sold – PMcG) with a gnarly body kit on it and R35 GT-R 20-inch wheels. He’s one of many racers that daily drives one. If you are an amateur track racer, the back of the van can offer up copious amounts of trunk space to fit a set of wheels, tool boxes, jacks and anything else you may need for a day at the circuit. You just have to first fold up the third row to free up the space. 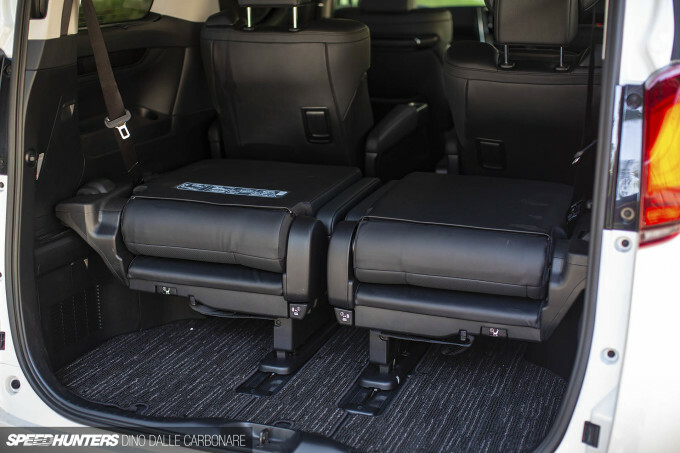 You can remove these two seats and leave them at home if you wish, as the way they fold up is actually not the best solution. In fact this is pretty much the only negative the Alphard seems to have, something the much older and now outdated Nissan Elgrand does way better, basically you hit a button and the third row folds flat. 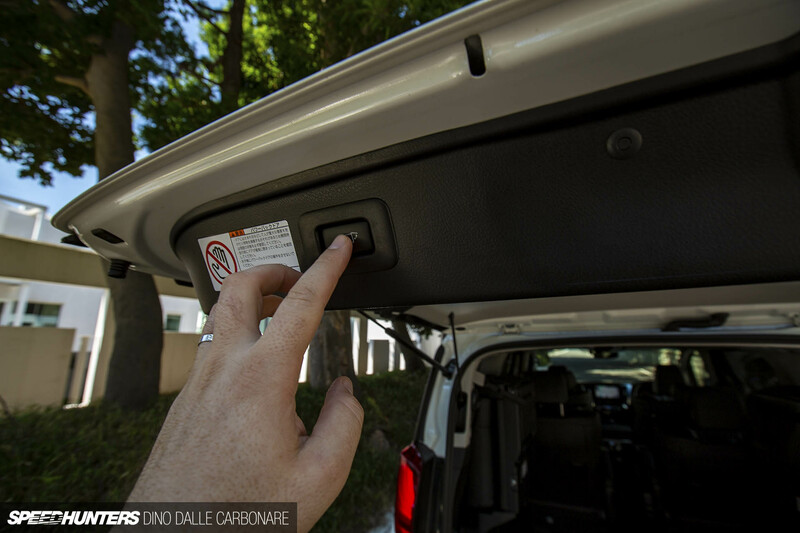 Spec the auto-close feature and you don’t even need to break a sweat trying to close the massive rear gate. It does it all itself while constantly emitting an annoying beeping sound, just like when the side doors slide open and then close. I think there’s a way to either change the sound or kill it all together, but it has to be done aftermarket like the mod that unlocks the TV so you can watch it on the move. Watching TV is something that absolutely must be done while driving in Japan. It’s funny how some markets have evolved in different directions. SUVs and crossovers of every size seem to rule the Western world while Japan and a lot of South East Asia have embraced the far more practical and efficiently packaged van with open arms. 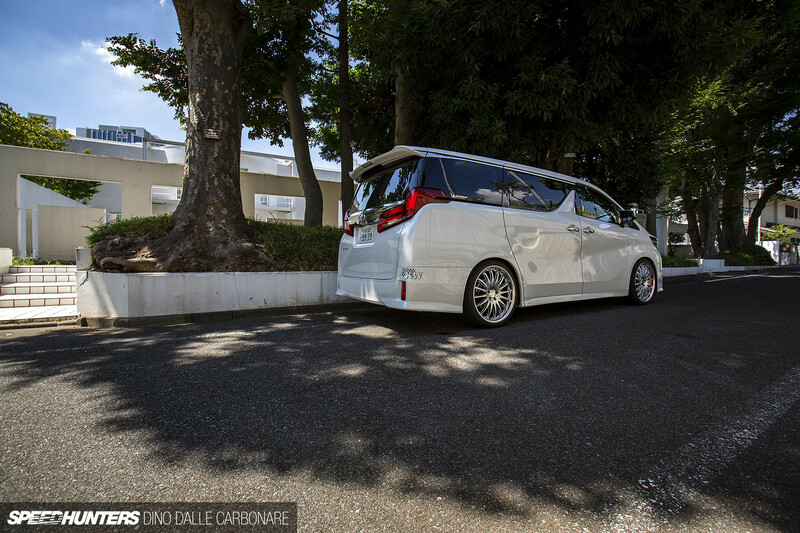 Vans like the Alphard give you instant street cred. They offer so much it’s really hard to fault them, and with a few choice mods can be made to look pretty damn good. 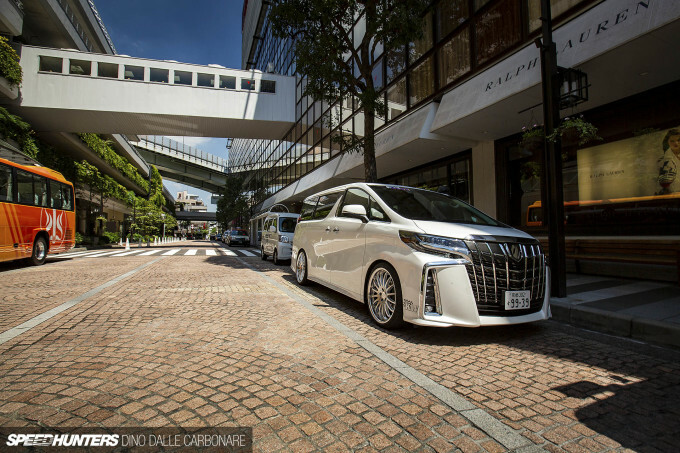 I know some of you out there won’t get what the deal is with vehicles like these, but the vanning scene is as big as it has ever been in Japan and as hunters of everything cool, unique and downright bizarre, it’s always fun to feature stuff that gets people talking. 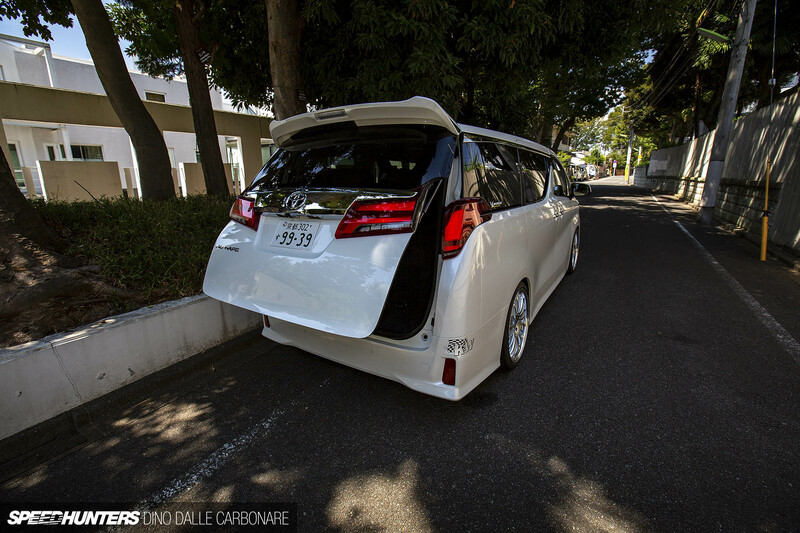 So the question here has to be, would you rock an Alphard? Surprisingly, I love these vans. But then again, I love nearly anything Japanese. Maybe it's because with the fact that down here in SA these minibuses as they're referred to are the most common form of transportation, albeit, one of the more dangerous forms as theit drivers are pretty reckless. But even with that, these kinds of vehicles sell very well here. 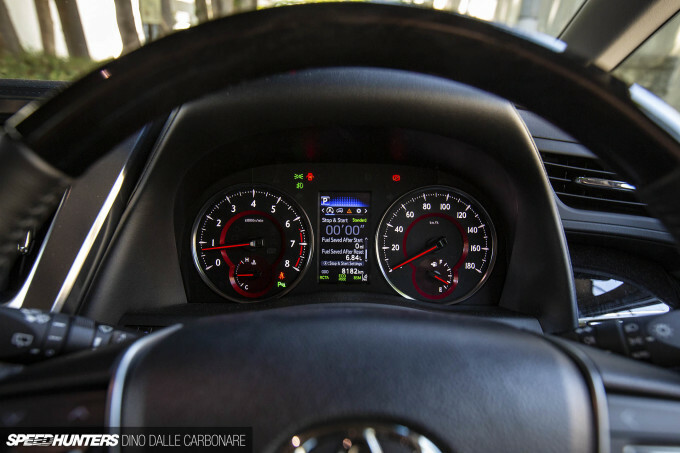 Kia has brought in their Sedona, the VW Kombi has forver been a staple and the Mercedes Benz Viano has always sold like hot cakes (and those aren't cheap). 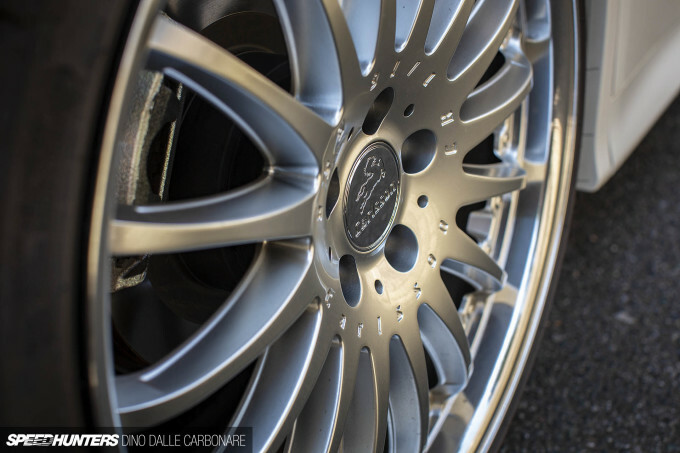 I just wish the Japanese would bring in their higher end models as well. They used to be highly modified in terms of sound, but I've noticed a rise in the performance area as well. Bucket loads of 2J and 3UZ Hiaces around. 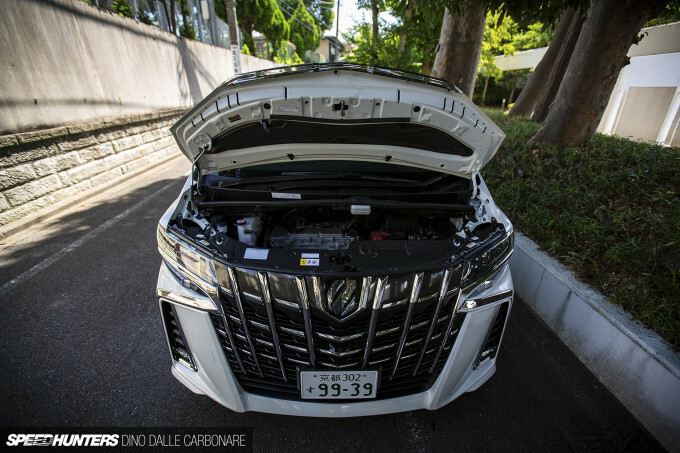 A recent one even got a Toyota Century V12 conversion with a twin turbo setup making 442wkW at 0.6 bar. 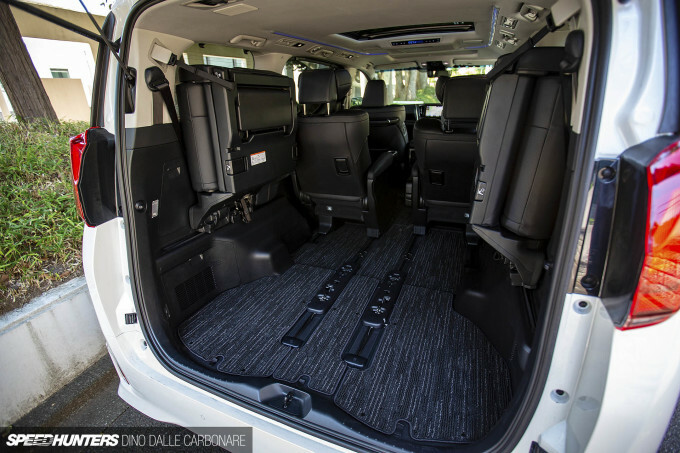 japanese companies know the potential is there for the higher end vans, but just seem to ignore that market for some reason. These cars are literally apartment on wheels! Working at a car dealership, I can tell you just how popular these things are. We have so many units of them for sale! lol what's an overly complex jdm phone? Not a huge fan of the Grille either. Thought it was really ugly, but when you see it down the road. It sure has presence and it just grew on me especially at night. Wasn't made to appeal being nice to look at but I sure does look intimidating on the road. 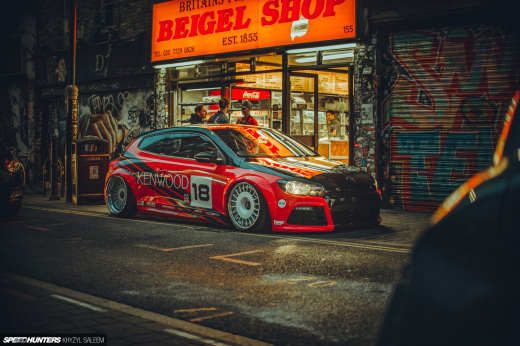 2:26 pmSeptember 1, 2018 Basith P.
A lot of the modified vans get personally imported from Japan to Australia but they only end up being driven by soccer mums who don't care about the bodykit wheels, or JDM van culture and just use it to do mum stuff. Which is a bit sad because these are cool. Isn't that's normal, in here (Hong Kong) they are just normal vans for bosses or families. Only once a while you'll see one dressed up nicely. Americans hate the image of a van, I can never understand why, but they just do. That is why there are no luxury van in North America, because they won't sell. There was an influx of minivans here in the 80s and 90s and the stigma of being a "mommymobile" transferred from wagons to vans. 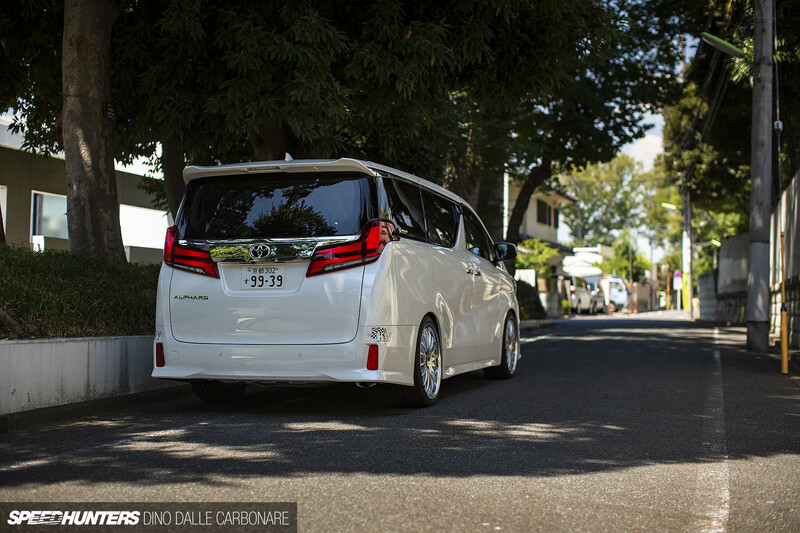 Rode in a 2005 or so alphard a few times. It's felt much more spacious than the sienna in NA. I would gladly accept a vellfire with Modellista package. Rather have a wagon than a van but a van before an SUV. I always look at normies driving their vans and think with a drop, swaybars, and wheels they could be a riot. That and loud exhaust. Haha, Nagoya will never be the same. Mind you, how many other locations did the poor Vellfire leave its mark? With several more to come next trip for sure! Love these things. Seem like a great daily. See a few driving around here in Aus now and then. When I have kids I'll likely get one of these with all my car buddies and we'll rock these when not using the friday/weekender ahaha. Wowww, I don't know now, they're quite pricey! These vans are uber popular here in Singapore (unlike Uber which is banned, unlike Grab which is Uber but not banned). With good reason. I was lucky enough to be driven around in one for a day looking at kids schools. Veritable floating palace. I tried (as passenger in all the seats) many early 00's Odyssey models and it was really pleasant, a 2015 Alphard should be a thing. 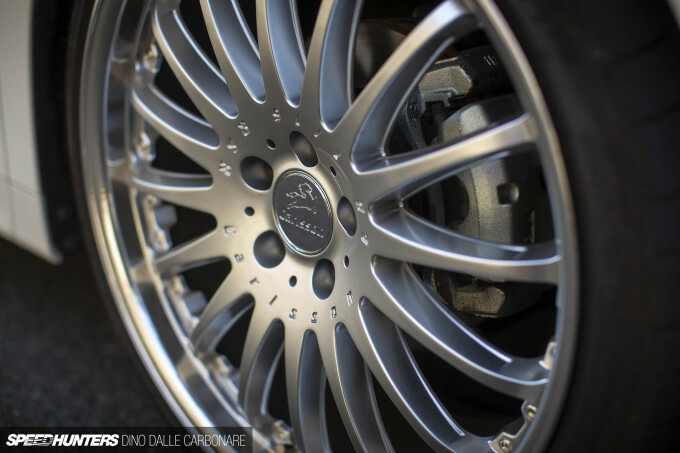 Btw Dino, that would be a nice add to the SH Garage instead of 2 Audi (just saying but you have already picked up your mind). Love this kind of van. I like the wheels, the height, heck, almost everything that was done to it. But what I can't diggest, is that frontend... Damn. I wanted to hate it, I really did. Then I saw the cutouts on the interior shot, the ones that mean I wouldn't have to look AROUND the A-pillar to see. 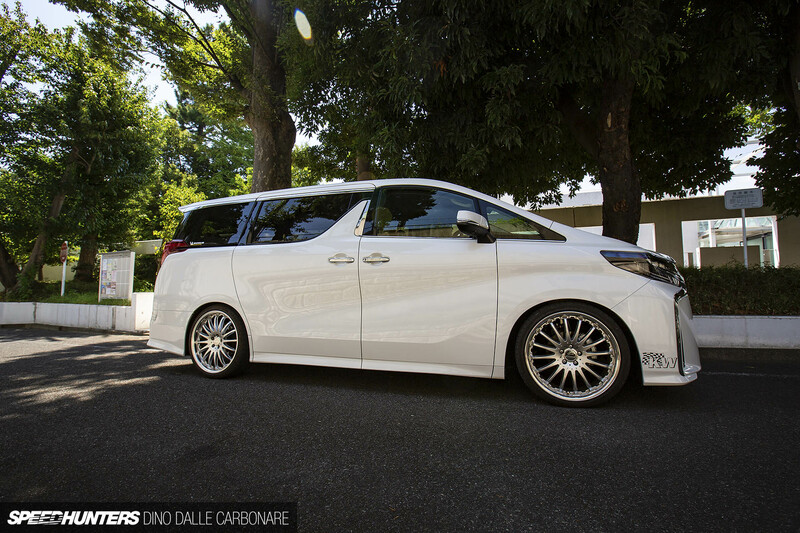 the Vellfire is the best. 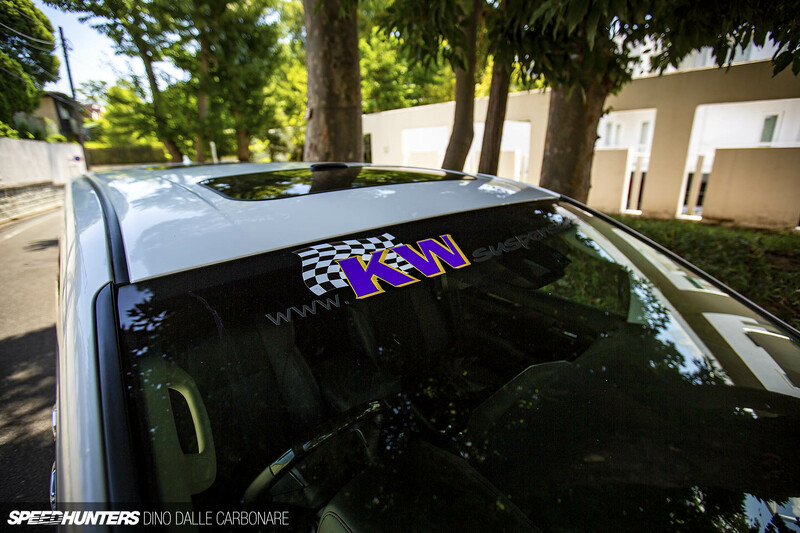 Was _the only_ car I test drove at MegaWeb way back when. Went with non-car friends, and even they became fans of the super lux accommodations inside, for life. Of course my family had a Previa, pretty much the 2nd tier van, and that made me all about that van life. 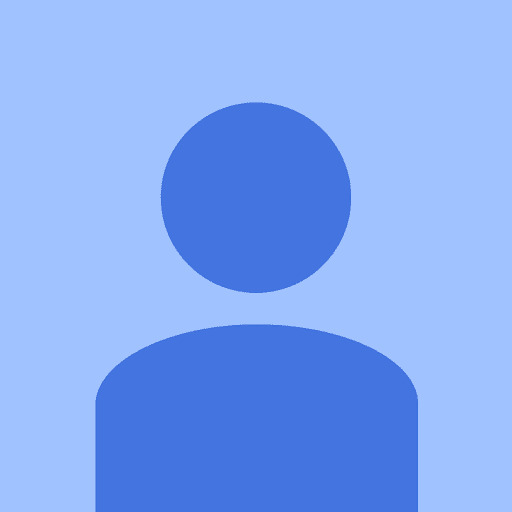 9:37 amSeptember 7, 2018 phantom2468 . If I had 2 or more kids in Japan I might consider it. I see many of my friends going that route. But seeing as I might not have any kids I will enjoy an occasional ride in one while I am in Japan. 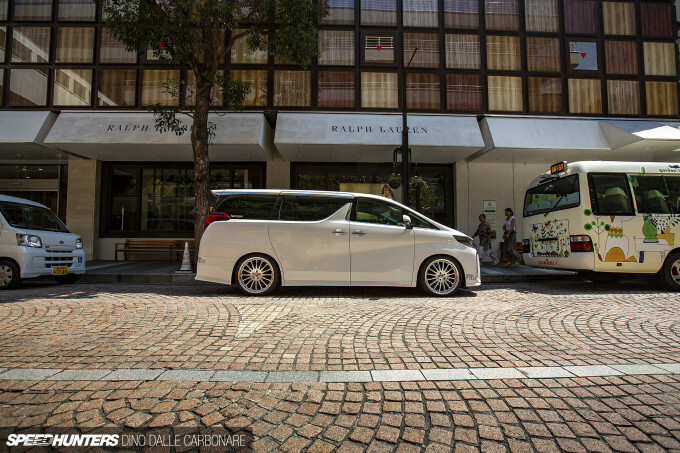 LHD versions of these vans are available in Germany at some shady dealerships and in Russia, at official Toyota dealerships. Honestly, this article is well written and hands on review. Great job Dino! I'm from Malaysia, I'm 31 yo this year with 2 kids, owns a 2015 reconditioned vellfire zg with full spec, a businessman and what can I say, its one of the best car that I've owned. It looks good and feels good to drive in long distance, roomy and is well respected in business community (locals will say its a boss car). Used to own an audi tt when i was 24 and a Q7 3.0 tdi when i was 25. the more we aged, the more we need to feel comfortable. For all of those in countries that does not have this car for sale, please rent one in japan and feel for yourself the experience. Back in 2002, my 4wd, 275bhp 2.8 V6 Matra-engined Renault Espace Quadra was THE rocket ship - and full 7 seater at 125mph all day long up and down the French A roads. 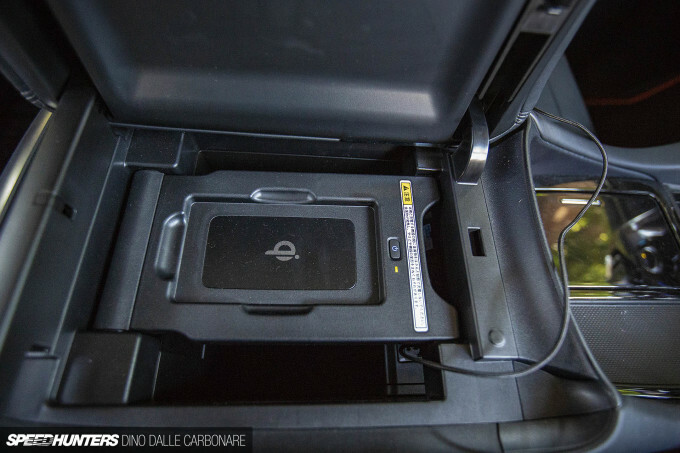 All the options less the electric rearmost seats. Swapped out for 3.0 V6 diesel. Garret turbo, sports pipes and chipped to 325bhp. Lots of monumental burnout fun through the front wheels without LSD. Oh and 140mph at 4k until the tank was empty. Fast people carriers are nothing new... F1 Esapce anybody?